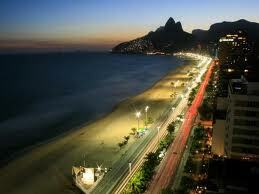 What does riding a Van entail in Rio de Janeiro? 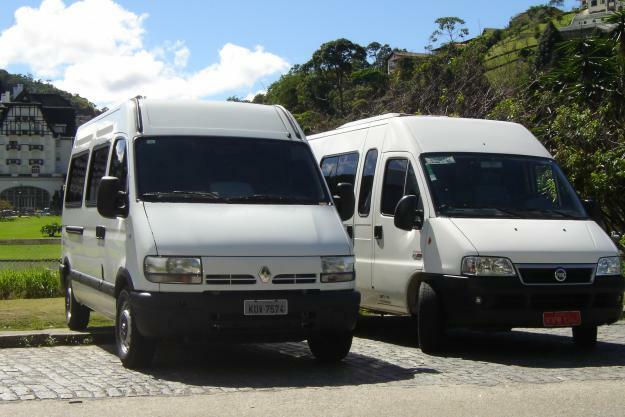 Vans in Rio are a quick, easy way to get around, but you've got to know how they work. The choice way of the locals to get around from beach to beach in the Zona Sul area (Copacabana, Ipanema, Leblon), Sao Conrado beach, Gavea, Vidigal and Rocinha, and from Zona Sul to the hippest night spot in town under the arches, Lapa, is the Van, pronounced Vahn. The Vans are generally 15-seaters. I don’t say 15-passenger for a reason, but we’ll get to that later. Consider the Vans multi-fare taxis that charge 2.30 during the day and up to 2.60 at night, depending on the distance traveled. They are fast and efficient, and drive like bats out of hell. Myyyy favorite way to travel. Unfortunately, many tourists hear tell of the infamous mode of transportation and don’t know how to use it, if they want to use it, at all. Now, I think one of God’s many purposes for me is to spread the word—I consider Vans, despite the bad press, to be one of the safest, greatest ways to get around in Rio. Sure there are pros and cons, and we’ll go over those. Know, though, that whenever a van is available, I’ll take it. Con 1: Like I said, vans are 15-seaters. The rather unfortunate part is that the drivers often pack two or three extra people in standing up if they can. Some vans have fewer actual seats to accommodate more standers. Yes, this is technically unsafe. However, your driver and change taker (or trucador, if you recall from Wheelies on the Bus) are literally riding on your business. If they get into an accident, the consequences for them are devastating. Therefore, though they are the Evel Knievels of the road with lots of stunts, they have very, very few fender benders and severe accidents. Vans usually hold 15 seats including the driver. Unfortunately, they usually pack in people wherever there is room to stand. Con 2: People in Rio think Gringos are loaded. If you think a trucador is hiking up the price because you look like a foreigner, call him out on it. Generally, they won’t do this. I even overpaid once when I was tired, and the trucador gave me all my change back and told me to be careful. “Not everyone is honest,” he said. He was right. On another occasion, a Columbian friend and I got on a night van to go a few blocks and he tried to charge us 2.70. It was unreasonable. I told him, “I have 2.30. If you don’t want it, I’ll get off and walk.” “Eu tenho dois e trinta. Se você não quer meu dinheiro, eu vou sair e andar.” He balked, and I rode for 2.30. Sure, it’s only a few cents, but, to me, it’s principal. Con 3: Vans don’t go everywhere. There are going to be times where you’ll have to take the metro, a bus, a taxi, or whatever. Look at the sign on the front windshield as the van approaches. If you’re still unsure whether or not it’s traveling to your desired destination, flag it down and say the name of the location. If the trucador says “Sim” (sounds like sing), he can take you there. If he says “Não” (sounds like Now), you can try another Van or another mode of transportation. Now for the Pros. There are many, but I’ll hit the highlights. Pro 1: Say you’d like to take a bus to Gavea. You’ll go to the designated bus stop, wait for up to 30 minutes, and ride to Gavea in a wale that can’t maneuver around traffic. Vans come by about once every three minutes. Look for one that says “Gavea,” and three minutes later, you’re on your way. Nough said. Pro 2: Aside from being faster, Vans are also, generally, less noisy… annnnd cheaper. Yay. Pro 3: People are also even more helpful on Vans. 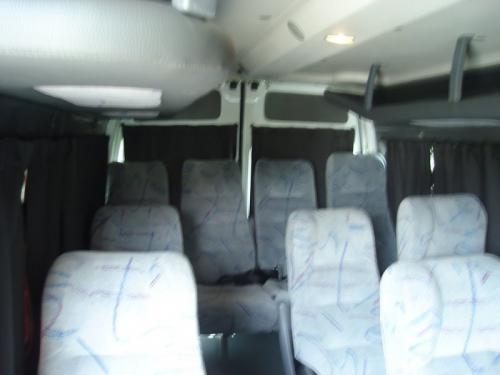 If you talk to the trucador on the Van, you can let him know “Estou indo pra…” “I’m going to…” Fill in said place. “Pode me dizer quando estamos perto?” Can you tell me when we’re close? If you try to ask a question, or if you look confused, many times someone who speaks a little English will pipe up to help you out. Pro 4: The view from Vans is also better, I think, than the bus view. Well, during the day many run along the beaches. In the morning before 10 or on weekends, you may find them two or three streets back. Flag them down like you’re waving a taxi. You don’t have to prepare your change like you do on a bus. Some vans take their change soon after you get on. Others, right before you exit. Either way, they’re pretty patient. Don’t take a lot of extra stuff with you though. Like I said, they pack ‘em in… so lots of stuff can get trampled on. How do I know if I’m really on the right Van? Vai direta (Vi g-reta)? : Do you go directly there? Pode me dizer quando estamos perto? (Pod-g me dizer…): Can you tell me when we’re close?